Step 1. 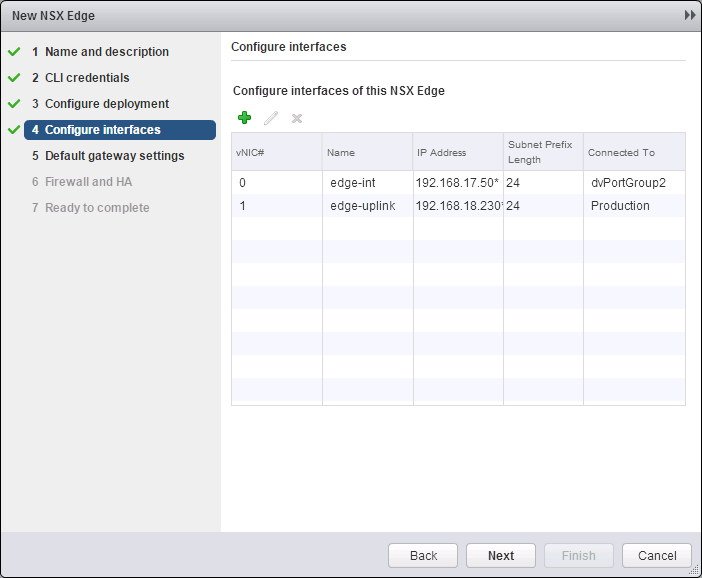 From Networking and Security, navigate to the NSX Edge page. 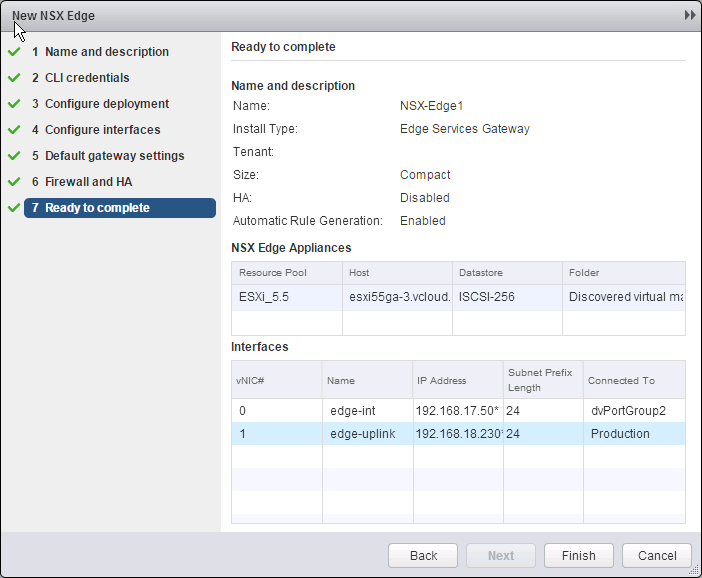 Click the green plus to add a new NSX Edge. Step 2. 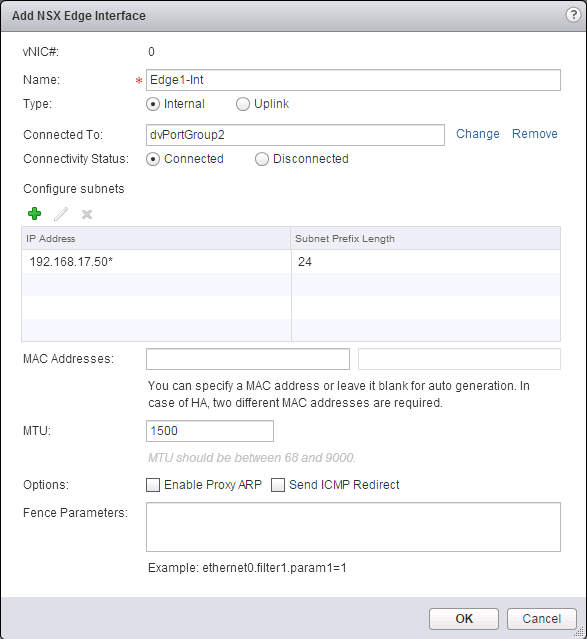 Create a name and hostname for the appliance. Step 3.Set a password for the admin account. Step 4.Choose what type of deployment you want. I would suggest leaving Auto Rule Generation enabled. 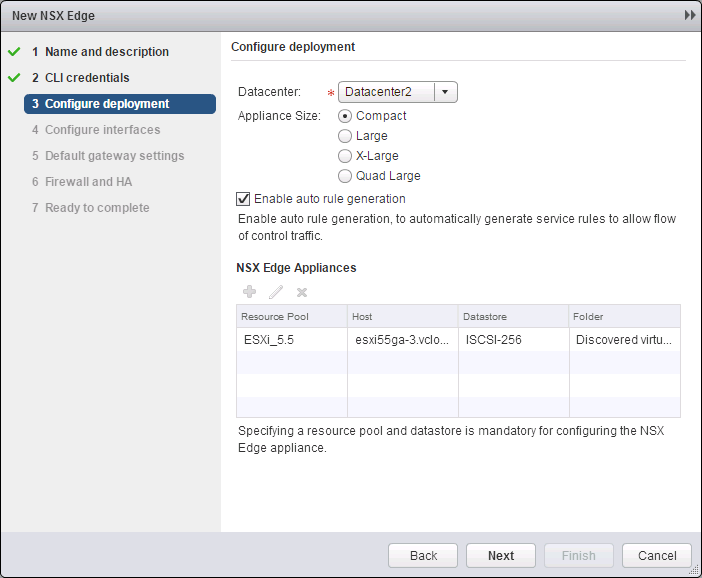 If you do not select Enable auto rule generation, you must manually add firewall, NAT, and routing configuration to allow control channel traffic for NSX Edge services such as Load Balancing, VPN, etc. Choose where to deploy the appliance in your environment as well. 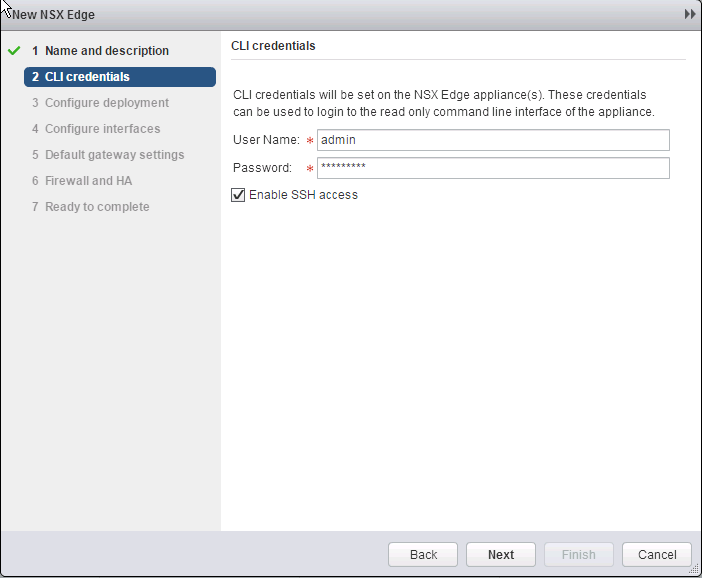 Step 5.On the next screen, we’ll be creating the interfaces on the Edge Appliance. Create 2 interfaces. One for external and one for internal connectivity. Give them IP addresses respective to the network they will be accessing. 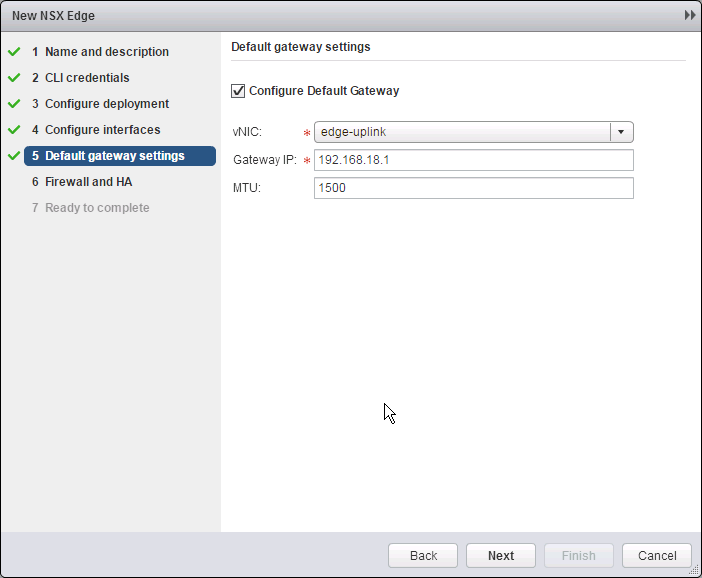 In my example, edge-int is my internally facing IP and edge-uplink will be my connection to the external network. 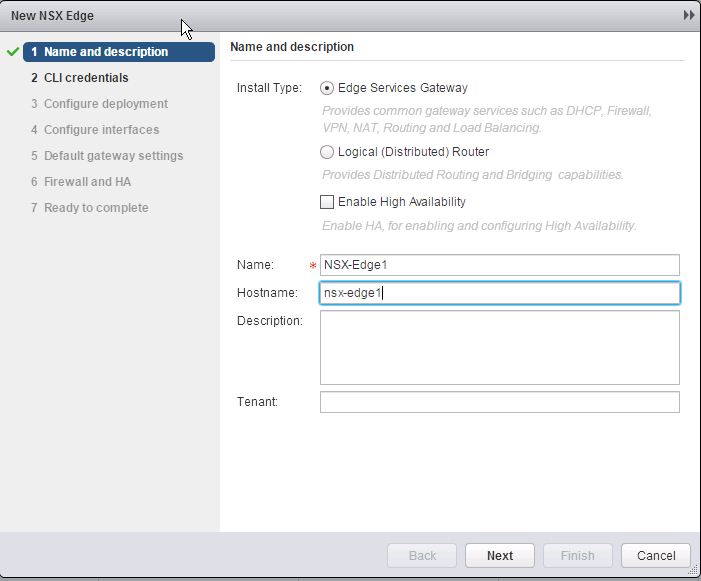 Step 7.Configure the Firewall and HA Configuration if you want. I chose to skip this for now. More info can be found here. Step 8.Review your configurations and click Finish.